Two emerging server memory types are expected to arrive in future high-performance systems. What do these new technologies entail, and how will they impact your organization? Access this exclusive e-guide to explore these two new emerging server memory trends: High Bandwidth Memory (HBM) and Hybrid Memory Computing (HMC). 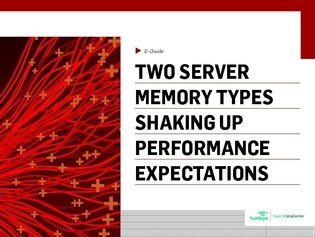 Discover how they’re expected to affect future server memory performance and discover whether or not they're a good fit for your server environment.